SharePoint Office 365 E plans come with one free public facing Web site. This is just like having your Web site on the Internet. 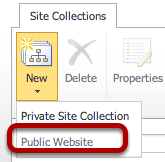 The only way to create a customer URL for your SharePoint site is with a public facing Web site. Follow the instructions below to build a public facing Web site using a custom domain name. 1. 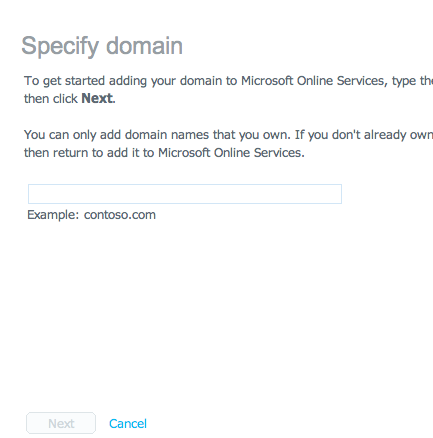 First add your custom domain name to your Office 365 Portal. Log into your portal at http://portal.microsoftonline.com and click Domains in the Quick Launch Toolbar under the Management heading. 2. Next, click Add a domain. 3. Next, add a domain name for the public facing Web site. Many customers use sp.YOURDOMAINNAME.com or sharepoint.YOURDOMAINNAME.com. 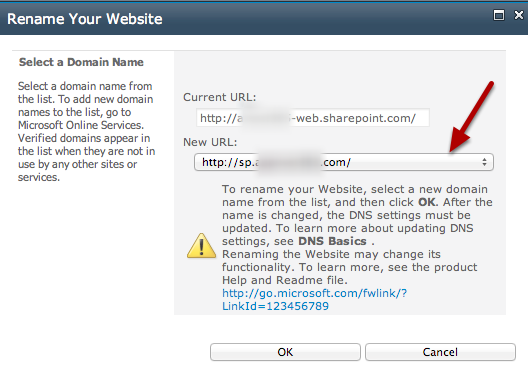 Any name can be created, just remember this is how users will access the SharePoint site or public facing Web site. After adding the domain name, click Next. 4. 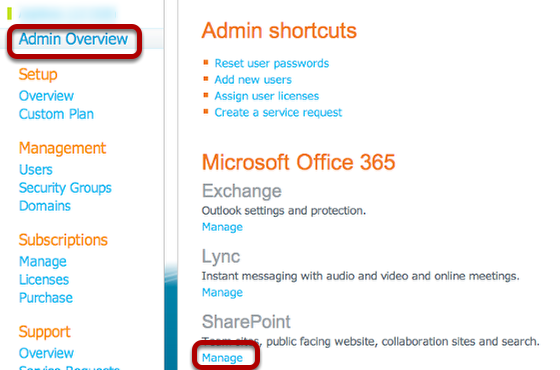 Next, deselect the Exchange Online and Lync Online check boxes and select the SharePoint Online check box. Click Next. 5. A window will appear confirming that the new domain has been added to the account. Click Finish to complete setting up the domain name. 6. The new domain will now be displayed in the Domains List and it is already verified since it is a sub-domain of the main domain. 7. Now set up the Web site. 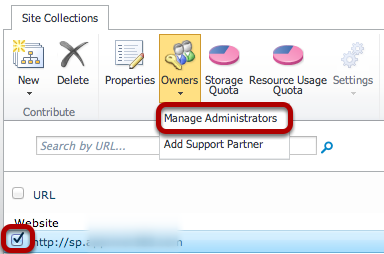 On the Admin Overview page, under the SharePoint heading, click Manage. 9. On the Site Collections ribbon, click New and then click Public Website. 10. A new URL will automatically be created under the Website section that is the same the other site collections but with the -web added to the first part of the URL. Once it completes, the public Web site is now set up. 11. Now change the URL to the custom domain name that was up in Step 3. Select the check box next to the new URL, and on the Site Collections ribbon click Website Domains. 12. A window will appear to rename the Web site. Use the New URL: drop-down box to select the custom domain that was set up and click OK. It will take about 60 seconds to complete the switch. 13. Once complete, if a notification that the website was deleted (as shown below) is shown, refresh the page or click Site Collections in the left Quick Launch Toolbar. 14. Once the page is refreshed, the new custom domain should be displayed. 15. Now give rights to this site. Select the check box next to the new Web site, and in the Site Collections ribbon, click Owners, then Manage Administrators. 16. On the Manage Administrators page, set Primary Site Collection Administrator and Site Collection Administrator(s). There are no differences in the rights of the two, but the the Primary Site Collection Administrator is the only one that gets the email notifications about the site. 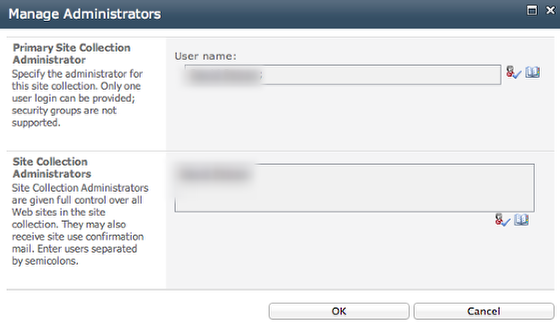 So ensure the Primary Site Collection Administrator is the administrator that will handle the alerts on the site. Click OK when finished. 17. Set the CNAME in the DNS settings. Select the check box next to the URL of the Web site and click DNS Information on the Site Collections ribbon. 18. A window will appear displaying the Point To address that will be used to set up the CNAME. 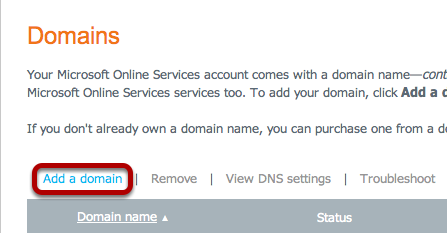 Log into the DNS provider and add a new CNAME that points to the sub-domain that was created and have it point to the address shown in the box. The public Web site is now set up.